On Dec. 18, the Supreme Court’s petit bench ruled against a man from Fukuoka Prefecture who was suing the management association (kanri kumiai) of his condominium for firing him as its president of the board (rijicho) because the regulations of the association contained no stipulations for dismissal. Lower courts had ruled in favor of the plaintiff, but the Supreme Court thought otherwise and sent the case back to the Fukuoka High Court, implying that the association could fire the man. It is the first time a court has ruled in favor of a management association in such a case and, according to the Nihon Keizai Shimbun (Nikkei) report of the decision, the precedent will have a profound effect on condominium management rules, since it recognizes management associations as holding the primary decision-making power in such matters. The problem goes back to 2013, when the plaintiff decided unilaterally to change the building’s kanri kaisha, the company that manages the property. The rest of the management association, which is made up of all the condo owners in the building, objected to the change, but the president said it was his decision to make. A majority of the association’s members voted to fire the president. He sued, saying the dismissal was invalid, because while the rules said that the association appointed the president through majority vote, they said nothing about removing the president. In the first two trials, the judges agreed with the plaintiff and said the association would have to reinstate him as president for the remainder of his term. The association appealed, saying that since it could appoint a president, it naturally followed that it should be able to remove one. Nikkei said that 80 percent of condo management associations have similar rules, which are based on guidelines issued by the Ministry of Land, Infrastructure, Transportation and Tourism, and a ministry representative told the newspaper that it would have to revise the guidelines in light of the Supreme Court decision. This means adding a stipulation that management associations can fire their presidents. The reason the ruling is such a big deal is that presidents of condo associations tend to hire outside contractors and set management fees and budgets and, while associations have to approve such things, presidents usually have the authority to make such decisions by themselves. Now, if a president makes a decision the association doesn’t like, they can get rid of him or her. When you buy a condominium unit you automatically become a member of your building’s management association, since any part of the structure or grounds that is not contained within your unit is considered communal property. The association is represented by a board (rijikai) made up of rotating members, and a president of the board is elected for a fixed period of time. All the rights and responsibilities stipulated in the association’s rules are protected by law. The president calls board meetings and is in charge of the association seal. The building in the Fukuoka case contained 420 units, and the board consisted of 12 members. Probably the most important task carried out by the president and the board is setting and collecting monthly fees. There are two types of fees: a management fee (kanri-hi), which pays for ongoing maintenance of the communal property, and a repair fee (shūzen-hi), which goes into a fund that will be used for major repairs in the future. Initially, these fees are set by the building’s developer, which in many cases also hires the firm that manages the building, at least in the beginning. Management fees can be problematic. If they are set too high, it can discourage people from buying a condo. If they are too low then the funds will be insufficient to pay for major repairs or large-scale maintenance. An article that appeared last May in the weekly magazine Aera described the pitfalls of condo management and the importance of having an engaged management association. The article described a nine-story condominium building in Yokohama that was built in 1973. Back then, the land owner sold the plot to a developer in exchange for ownership of several floors. He also appointed himself the president of the management association indefinitely. However, under his charge the association never really did anything except collect money. No systematic maintenance or repairs were carried out unless they were required by law, and over time the building fell into disrepair. Though all the condo owners in principle belonged to the association, no one checked up on what the president was doing. He died in 2011, and the owners found out that there was no money in the repair fund. The president had spent it all on himself. Now, some of the owners are trying to collect money from other residents in order to carry out much needed repairs, but most of the owners can’t afford it. This is not a rare problem. The life of a condo is considered to be about 40 years. After that, in most cases extensive repairs have to be made, especially with regard to the plumbing. According to land ministry estimates, in 2015 there were 510,000 condo units in Japan that were more than 40 years old. In 2025, that number is estimated to triple. Many of these buildings’ management associations have not collected enough money in fees to pay for such repairs, and will likely have to collect a lot more before they can be carried out. As a result, condo owners can suddenly be hit with massive, unexpected bills. 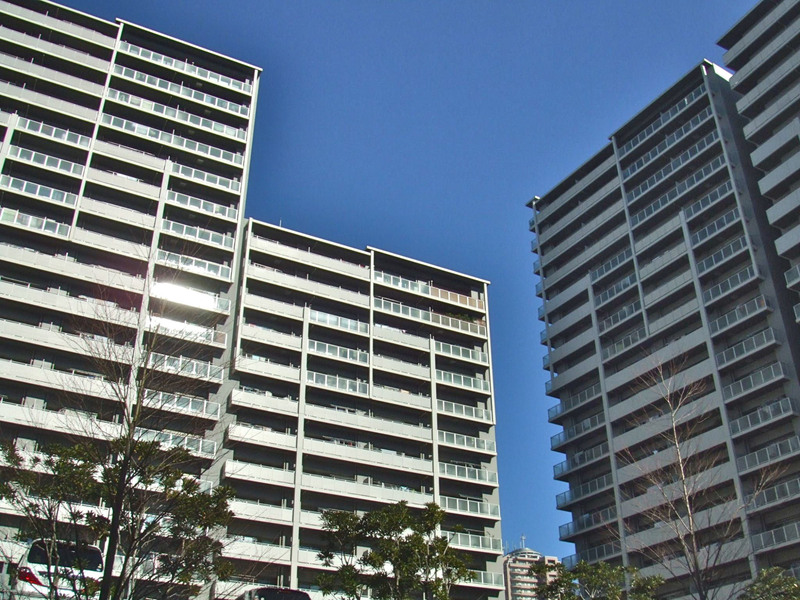 The Aera article mentions a four-story condo in Tokyo that was built in 1980. 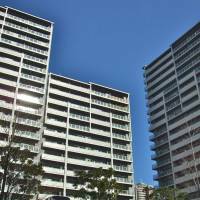 The repair fee is and always has been only ¥1,000 a month for each owner, which made the units attractive to buyers. But for the past two years, the building has been plagued with leaky pipes and large cracks in the exterior concrete. It will cost a minimum of ¥400 million to fix everything, but there is only ¥100 million in the management fund. Some management associations try to keep the monthly fees down by doing their own maintenance and cleaning rather than hire a management company to do those tasks. As long as everyone pitches in, it isn’t a problem, but management companies have know-how that most owners don’t. For instance, Aera looked at one Kyoto condo that was overcharged several hundred million yen on repairs that were poorly done. The board president had hired the consultant and the construction company without much input from the board, and he didn’t really know what he was doing. If a property management company had been involved in the decision (many condo boards include employees of such companies for their expert input), it would have hired a reputable construction company because it would have been in its interest to keep the association happy. The main problem with management associations, however, is that many owners are not keen on taking on the responsibilities of board membership, which can leave the board being dominated by someone with an authoritarian personality, like the president in the Fukuoka case. Most owners simply want to pay their fees and let someone else do the work. But without full cooperation from all the owners in a building, the association is open to fraud and mismanagement. They don’t call it “collective” housing for nothing.